We are committed to meeting consumers’ needs so they can enjoy lives of health, dignity and comfort. This includes creating products within our Comfees product line that help improve the quality of life for children with special needs. Comfees recently partnered with the National Down Syndrome Congress (NDSC) and the National Autism Association (NAA) to develop a survey that will help us understand how we can meet the unique needs of children living with disabilities. In 2017, we redesigned our Comfees Premium Diapers. During the redesign, we conducted in-depth market research, spoke with parents about their needs and used consumer insight to improve our products. 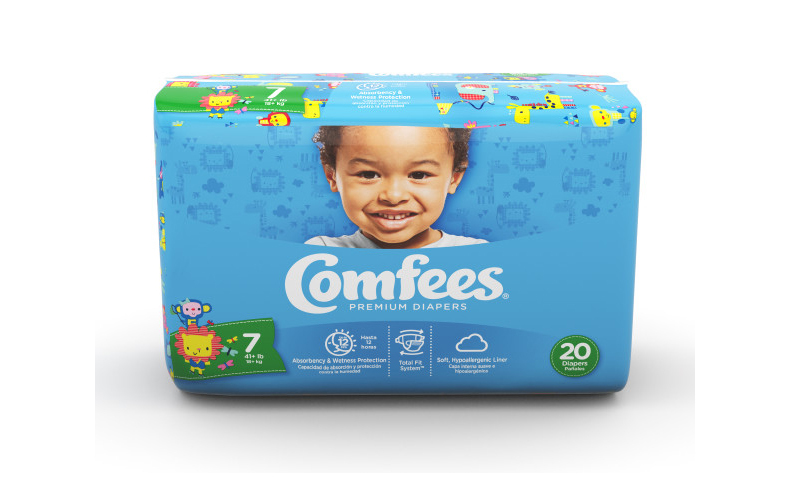 Comfees Premium Diapers have an ultra-absorbent core that provides up to 12 hours of leakage protection, and they have stretch fasteners and a shape that hugs a baby’s body for a secure fit. The diapers are also unique in that they are available up to size 7 for older children with pediatric incontinence. This size is not offered by many other brands. We incorporated these diaper innovations into Comfees products without increasing the price, which was an important goal during the redesign. Now, with this survey, we want to learn more about how to better address the needs of children living with disabilities. Because Comfees diapers are generally found through health care channels rather than in retail stores, this public survey will help us understand the best way to make Comfees diapers available to consumers. As part of our partnership with the NDSC, we recently sponsored the NDSC Annual Convention in Dallas. That event welcomed more than 4,000 people, including caregivers, health care professionals, and people and families living with Down syndrome. Comfees also partnered with the National Autism Association and sponsored that organization’s 2017 conference. If you or someone you know buys absorbent hygiene products for a child with special needs, we invite you to take or share our survey. Some of the conditions that can cause pediatric incontinence include Down syndrome, autism, spina bifida and cerebral palsy. The survey ends August 31, 2018.